Yegua de Haras El Silencio, Haras Las Armas y Haras El Tatú. By LEAVING MEMORIES SI 111 (1989). Stakes-placed winner [G2]. Sire of 431 ROM, 39 stakes winners, $7,251,404, including KATHYS STAR QUEST SI 113 (11 wins, $415,048, Manor Fut. [G2]), CAUTIOUS MEMORIES SI 95 ($259,881, Rainbow Fut. [G1]). Sire of the dams of ILLEGAL MEMORIES SI 107 (champion, $597,233 [G1]), FIRST DOWN TORO SI 101 ($334,613 [RG1]),OCEANCARTELSI 95 ($186,103 [G1]), FEATURINGAROCKETTE. Leavinem High SI 83 (c. by Leaving Memories). Winner to 4, $10,439. High On A Memory SI 85 (g. by Leaving Memories). Winner to 3, $6,852. High On Memories SI 93 (f. by Leaving Memories). Winner at 2, finalist in the All American Congress Futurity [G3]. Shes My Memory (f. by Leaving Memories). Winner in 2 starts at 2. [G1], Alamo QHBA Futurity [G3], Coors Distributors Derby, finalist in the All American Derby [G1]. SHEZA MAGGIE SI 97 (Some Kinda Man). Stakes winner, above. Golden Reb Clear Fork Futurity. Kinda Speedy SI 102 (Some Kinda Man). 14 wins to 10, $59,965. Set NTR. Bugs Little Dasher SI 96. Winner to 5, $8,358. RACERECORD: At 2, once 2nd; at 3, one win, once 3rd.EARNED$7,244. PRODUCE RECORD: 2007 no report. 2008, $22,849, 2nd Kansas Jackpot Futurity [R]. 2008 Back Side Of Thirty, f. by I Want It Now. Last BRED April 16, 2008, and believed in foal to I WANT IT NOW. 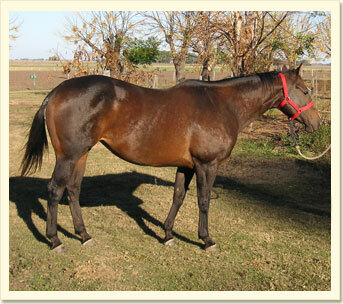 Accredited Oklahoma & Kansas Broodmare.